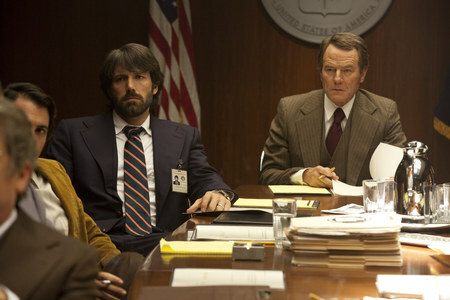 Based on the true story of the 1980 joint CIA-Canadian secret operation to extract six American hostages from an extremely volatile Iran under the guise of a movie making expedition, Argo gives a voice to both sides of the tale and shines a spotlight on this incredible story. 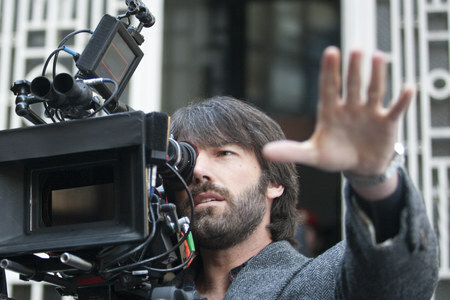 The introduction to Argo was probably the most interesting I’ve seen in quite some time. A brief but graphic history of the Iranian plight leading up to the hostage situation is shown through story boards and original footage. The movies opening scenes of Iran and the storming of the American Embassy by a violent and frenzied mob were truly frightening, reminiscent of scenes from any zombie movie. It set the tone and tension that carried through the entire movie perfectly. The somewhat balanced view taken by the film in the telling of these events was especially refreshing for Hollywood. While it didn’t justify the behaviour of the Iranian revolutionaries, it did enlighten the audience as to their motivation. 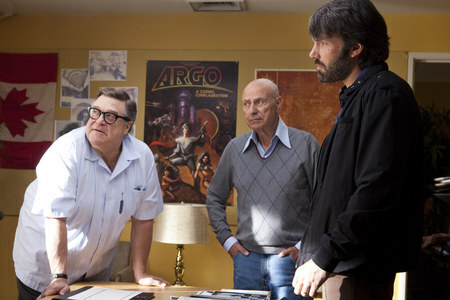 Bearded Ben Affleck is completely captivating in his role as Tony Mendez, the CIA ‘exfiltration’ officer who specializes in clandestine and covert operations. Perhaps it was the fact that he also directed the film but it came across on screen as genuine personal investment in the well-being of the six hostages and his huge efforts for their safe return home. Argo is a brilliantly orchestrated movie with an equally brilliant escape attempt that had a cinema full of coiled springs until the final credits. People subconsciously but physically rising in their cinema seats as if they could help the hostages by sheer will alone. There were grunts and mumbles along the lines of ‘Go, Go’, ‘Jesus, GO!’ peppered with nervous and genuine laughter. It was the most engrossing cinematic experience I've had since The Raid and is a huge rarity in cinema today. To affect an entire audience like that is a staggering achievement for any film maker and is exactly what movies should be all about. There’s true comedy here too though, in no small part from a quipping John Goodman and quick witted Alan Arkin as the faux production company consistently poking fun at Hollywood.Bryan Cranston as the face of the Governmental scramble provides laugh out loud moments with his signature dead pan style. He adds tension too as he struggles with bureaucratic decision making that comes right down to the wire every single time. My ignorance (age) may have been my saviour in that I didn't know the fate of the seven escapees until the very last minute though I have it on good authority that even knowing the ultimate outcome didn't diminish enjoyment whatsoever. Argo opens in Irish cinemas on November 7th, be sure to stay for the final credits to see the incredible lengths this movies makers went to to replicate this astonishing piece of history. and for jumbo loans, around 6 percent payday uk short-term loan is a temporary solution not a long-term key for monetary dilemma.